Apart from giving that traditional look to your tableware set, a copper handi keeps the food hot for long haul as it is goof conductor of heat. 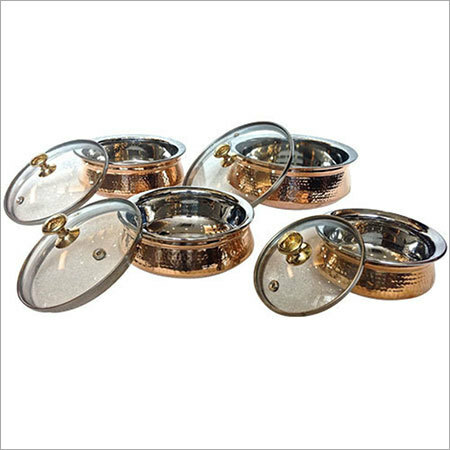 You do not have to worry about the food to be served become cold and rise of the need to re heat it again, if it is kept in copper handi with glass lid. One can buy a set of copper handis of different sizes from NJ Overseas Private Limited.